A Doctor Cartoon image made in a modern flat style. This image is available for free download, but it also comes in a vector AI file format. 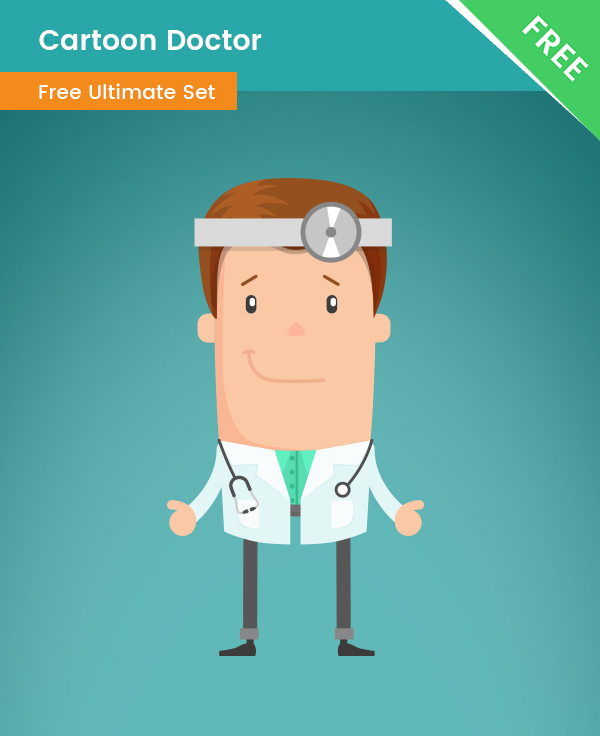 This cute doctor cartoon flat design will definitely grab the attention of your audience. He is made with modern shapes and colors. He certainly looks like the doctor your audience will trust – perfect for websites, banners, flyers and more.